iDrive Auto School is a family owned business. We developed the interest in opening iDrive Auto School while teaching our children how to drive. 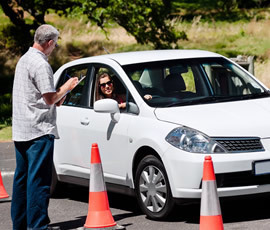 Our focus is on teaching you or your child the confidence you need to be a safe driver. We focus on making your classroom and driving experience both interesting and fun. We have a classroom with many educational tools to hold your interest. We teach the Registry of Motor Vehicles full curriculum as well as personal experiences that we have learned over the years. We believe in quality customer service. We hope to see you again! We hope it is in our class! Check back later for new class times and updates to our website. There's much more to come! With a variety of class times to choose from, we're sure you'll find one that will fit your schedule. We offer Saturday and vacation week classes to help with students' busy lifestyles. Look around our website and if you have any comments or questions, please feel free to contact us. . Finish our Teen Program and get 10% off car insurance upon completion. Save time and avoid frustration and schedule your road test with us.